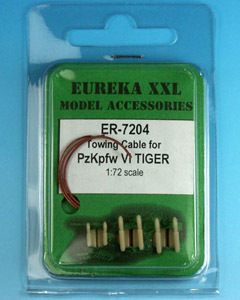 Towing cable for WWII German Panzerkampfwagen VI Tiger Ausf.E Tank. 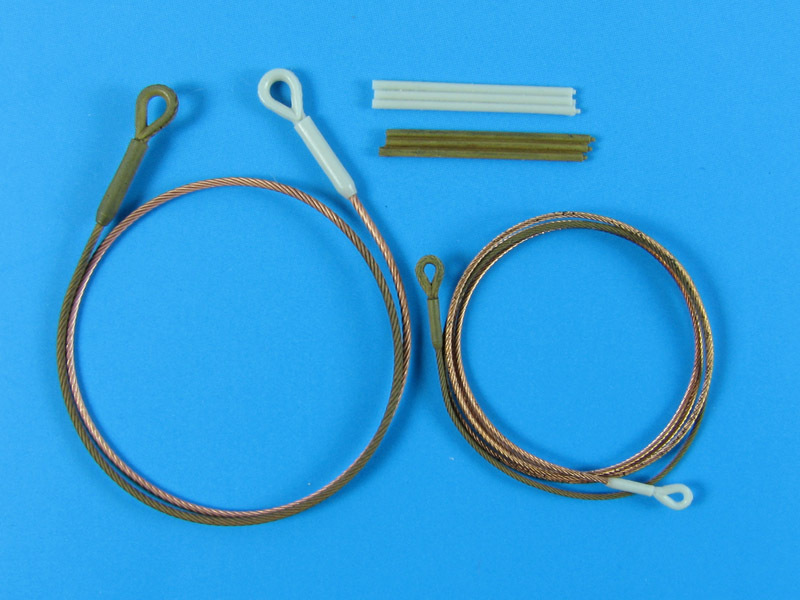 In this set we get three pieces of copper cable and eight resin parts. One longer cable piece is thinner than others and is meant for track changing cable. Two smaller eyelets are provided for it, while four larger eyelets together with thicker cables make up two towing cables. Additionally we get two resin parts, which are most likely some cable mounting brackets — you must excuse my ignorance of WW2 armor subjects here. Resin eyelets have very nice details molded on them, with braided wires details matching these on copper cables. 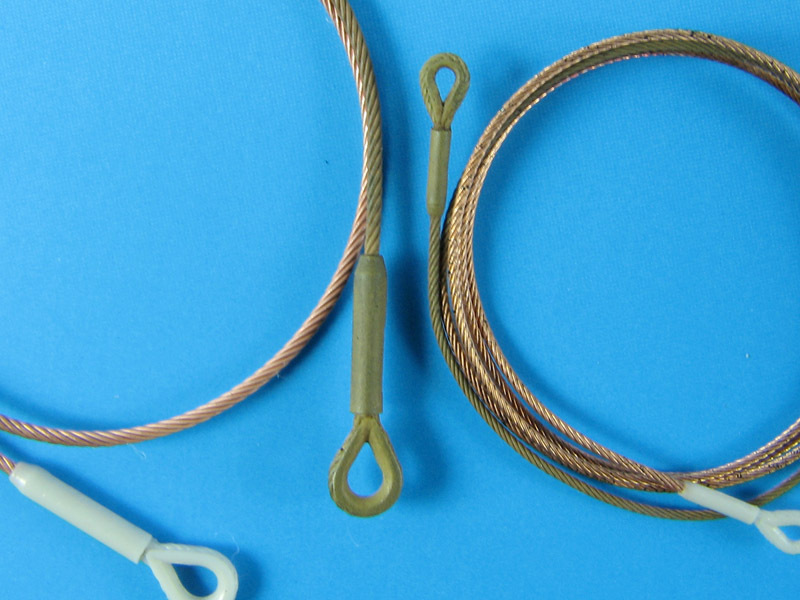 I found some photos of German WW2 tanks and it seems that the direction of wire braiding is correct and accurate in Eureka XXL product.